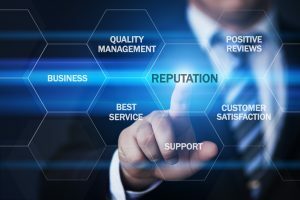 Is your law firm struggling with its online reputation? It may be easy to shrug it off, but your reputation follows you everywhere. 88 percent of your clients are going to search for your business before contacting you, and as they say, perception is reality. Think of how much money you could be losing just because you’re too stubborn to seek online reputation repair! But even a badly damaged reputation is salvageable. You just have to have the right tools! Here are five tips for online repair that’ll have your law firm looking great. Use an auditing tool to see learn the general attitude towards your firm online. There are tons of tools that tell you every time someone mentions your firm. It may seem excessive, but it’s actually quite helpful. These alerts show you what’s being said, where it’s being said, and often, who is saying them. For rep repair to work well, you have to be present. Find out where your reputation needs repairing the most and start there. Yes, it can be tempting to combat bad reviews with a snarky comment. The negative review may not be entirely constructive or even purposeful. This is an unfortunate truth about the web. It gives everyone a voice…even those who don’t use said voice responsibly. However, fighting bad reviews, unless excessive and harassing, aren’t a good idea. In fact, trying to remove bad reviews makes your firm look worse. So while it may seem counter-intuitive, leaving a bad review up shows that you at least consider everyone’s opinion. But there are instances where removing a negative statement may be necessary. In these cases, a user is either harassing a business or is flat-out lying. If you feel targeted by a comment or review, or feel that it misrepresents your business, contact the site. But be sure to pick your battles. Sites are going to be hesitant to remove the comment in the first place. Should you come back to that site time and time again, you’ll lose credibility and customers will accuse you of silencing them. Reputation repair in the age of social media is a bit of a mixed bag. Sure, companies are taking more flak than ever. But they also have a much greater opportunity to reconcile an issue with a client. Do what Burman Law truck accident lawyer did and give users an easy way to get in touch with you. Not every conversation needs to take place in the public sphere. It’s okay to take things private, or even offline. Reputation repair pretty much requires an ongoing conversation. Even if you don’t like what customers are saying, never discourage them from voicing their opinion. Reputation repair requires honest, direct communication. Encouraging customer reviews (even bad ones) are a great way to boost your reputation. Online reputation repair may be tough, but it’s not impossible. Remember to monitor your conversation, pick your battles, and encourage more feedback. And don’t forget that Reputation Results can help. Get in touch today to ask about how we can help repair your rep quickly and affordably.